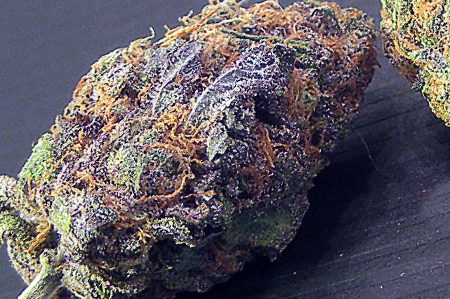 The most hyped up purple strain in the United States, Grand Daddy Purp is a West Coast legend. The buds are very fragrant and have a widely accepted taste with all stoners. We have a hot supply of freshly harvested GDP, so get it while you can! Grand Daddy Purp buds are impressively dense and carry a strong grape & fruity pebbles aroma. The taste is amazing right down to the ashes. The high is fairly strong, although doesn’t last very long.